Step into Jurassic Park with the Waimea Canyon tour. The beauty of Kauai is unmatched to anywhere else on the Hawaiian Islands. That's why the island of Kauaʻi has been featured in more than seventy Hollywood movies and TV shows, and the now famous Waimea Canyon was used in 1993's Jurassic Park and 2015's Jurassic World. 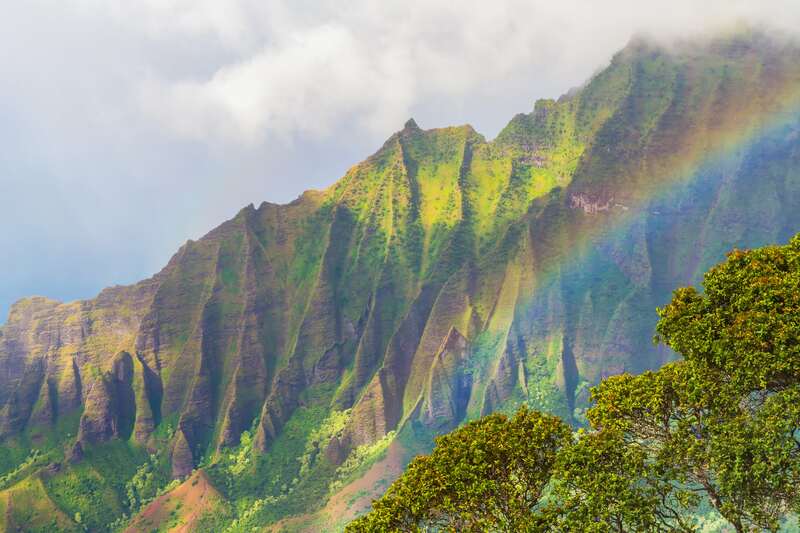 From the moment you step foot in Kauai you are immediately greeted by the lush green mountains, gardens, and Hawaiian flora. This is just one reason why SpeediShuttle's Kauai Eco Fun tour is just so special. Get your cameras ready... the breathtaking Kauai awaits. 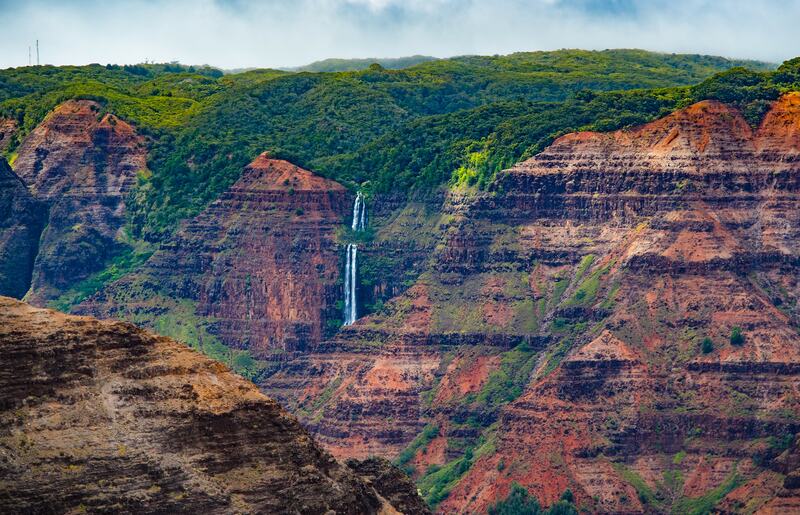 The awe-inspiring Waimea Canyon is known as the “Grand Canyon of the Pacific.” Snap a photo, grab a selfie, and capture all the beauty this island has to offer on the Waimea Canyon, Kauai Half Day Eco Fun tour. Other than incredible sightseeing, our guided Kauai tours offer a chance to lean about Hawaiian legends and history. From King Kamehameha I to the Russian Fort Elizabeth, the Kauai Eco Fun Tour is a great place to learn about the history of the Garden Isle. 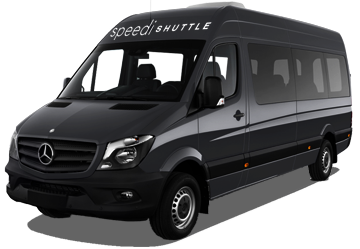 Reserve a Kauai Half Day Eco Fun tour today with SpeediShuttle! 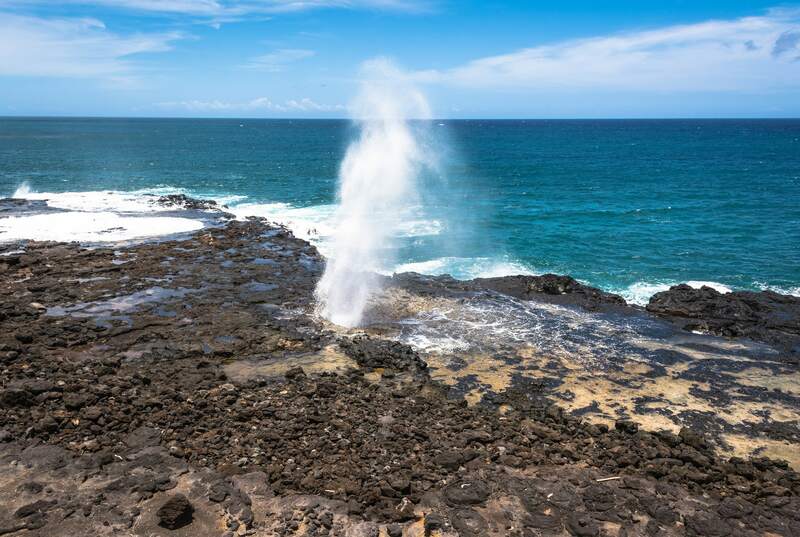 Spouting Horn Blowhole – Located on Kauai’s South Shore, the Spouting Horn Blowhole features a scenic viewpoint of the Poipu coastline (a great spot to see humpback whales) and blowhole spouting water 50 feet into the air. Listen closely for the legendary roar. Russian Fort Elizabeth – Kauai’s Russian Fort Elizabeth was built in 1817 by the Russian-American Company and is a National Historic Landmark. The Russian Fort Elizabeth State Historical Park is the last remaining fort and located just southeast of Waimea. Hanapepe Valley Lookout – Hanapepe means "crushed bay" in Hawaiian, and the famous lookout is located just past the 14-mile marker on Highway 50. Take in the beautiful Hanapepe Valley, the inspiration for the town in Lilo & Stitch and the fertile, prehistoric setting for Jurassic Park. Waimea Canyon and Lookout – Also known as the “Grand Canyon of the Pacific,” Waimea Canyon is the can’t miss site in Kauai. The lush canyon stretches 14 miles long, 1 mile wide, and more than 3,600 feet deep! The state park features rugged crags, gorges & waterfall views from 3 viewing platforms.